THE STORE @ MAG is the place in Rochester to find local, hand-crafted gifts for family and friends featuring works by over 75 regional artists. ceramics by Samantha Hostert, original art by Rachel and Cordell Cardaro, glass jewelry by Roxann Slate, and mixed media by Don and Cheryl Olney. Read the background information on the original art produced by Cordell and Rachel for us for our upcoming Fredrick Douglass exhibition. 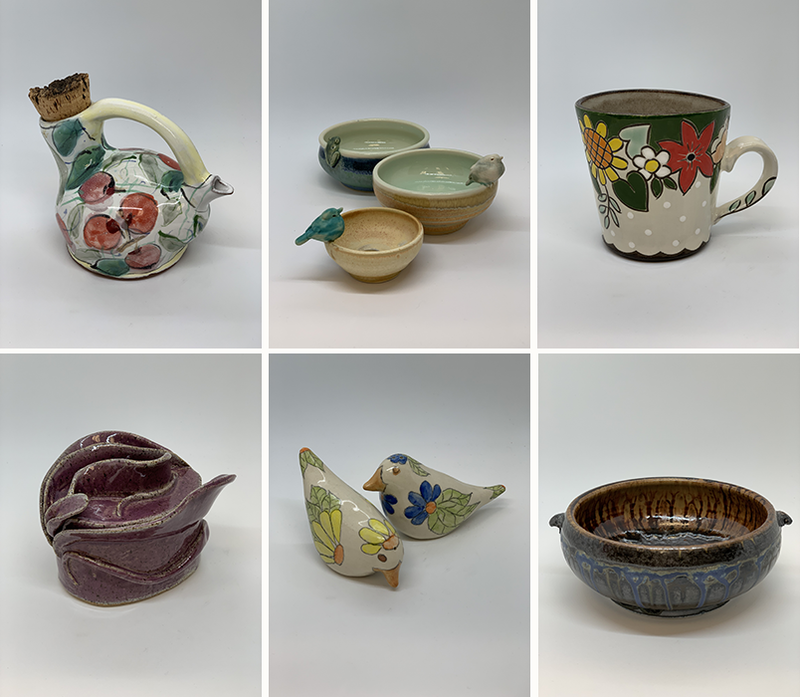 Shop from May 4-12 for 15% off one item of pottery. Mary Crowe; Jennifer Buckley; Richard Aerni. Wednesday-Sunday 11 am–5 pm, Thursdays and select Fridays until 9 pm. THE STORE @ MAG features treasures from Upstate’s vibrant community of artists; the finest in handmade jewelry and artful items for your home. We are happy to answer any questions that you may have regarding our items, shipping or special requests. Please contact maggallerystore@mag.rochester.edu or call 585.276.9010, Wednesday–Sunday, between 11 am and 5 pm | Thursdays & select Fridays until 9 pm. Follow the Gallery Store on Pinterest and Instagram. THE STORE @ the Memorial Art Gallery supports local artisans and provides funding for Museum exhibitions and educational programs. Shop THE STORE and support the arts!